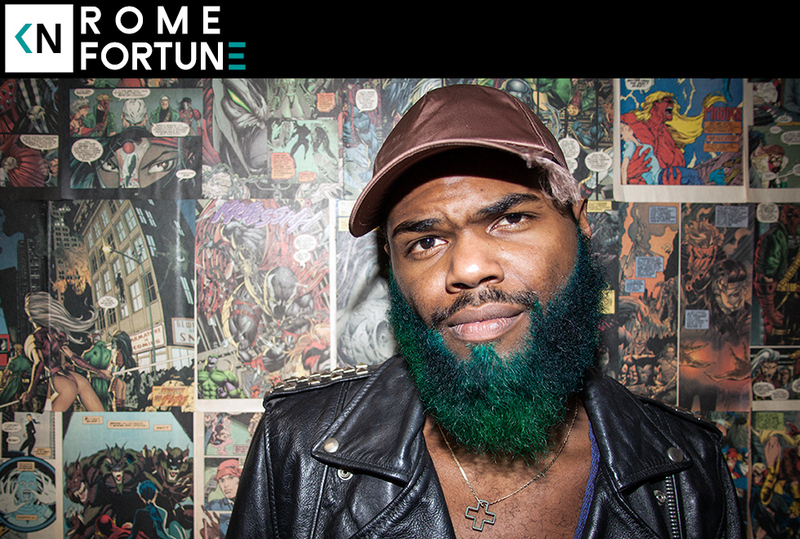 This week we sat down with Rome Fortune. The Atlanta rapper was in LA to escape for a bit. But he ended up in a few studios, like any hard working artist would. Sometimes it’s just harder for artists not to work. To be honest I’d labeled him a “fashion rapper” in my head. In my bias I feared he would be snobby or overly egotistical. He proved me very wrong. Rome Fortune is jovial, warm, thoughtful, skilled and humble. He’s a true student of the game. He’s a rapper not afraid to experiment, and striving to make his music as open and personal as it can be. Listen to us talk about his jazz lineage, Home Depot hustles, and how the beard ended up green.